Hope Hall Raises Just Under $49K for Annual High Hopes Golf Tournament! 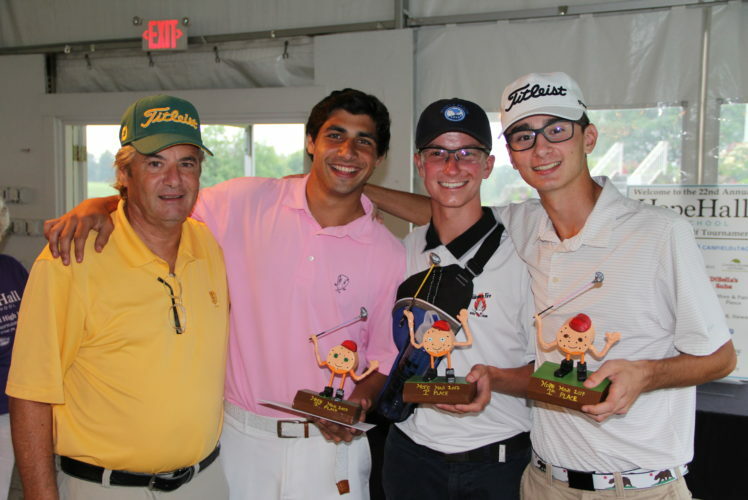 Home /Events / Hope Hall Raises Just Under $49K for Annual High Hopes Golf Tournament! We are pleased to announce that Hope Hall School raised an estimated amount of just under $49,000 in net profit for our 22nd Annual High Hopes Golf Tournament which was held on Monday, August 7, 2017 at The Links at Greystone. Thank you to all of our volunteers, High Hopes Golf Committee, event sponsors, gift in-kind donors, and to all of the other individuals and businesses who supported this event. The success of our Golf Tournament would not have been possible without your contributions and endless dedication to our school. Proceeds from our Annual High Hopes Golf Tournament will help fund our Tuition Scholarship Program which supports over 85% of our students living at or below the poverty level. Thank YOU for helping to give our students a brighter future!